It will rise from the heart of a bustling new Water Street Tampa wellness district, a modern centerpiece of scientific innovation, world-class clinical care and life-changing discoveries. The USF Health Heart Institute at the Morsani College of Medicine will unite physician scientists working together to find the treatments and cures for heart patients today and for future generations. Our collaborative, "bench-to-bedside" approach will bring together many of the best minds in the field, housing NIH-funded researchers with the expertise to create new therapies, practicing cardiologists with the experience to administer them, and patients deeply in need of both. The statistics are sobering; cardiac disease remains the number one cause of death in our country, causing nearly one million deaths each year. We can change that. The Heart Institute holds the promise to improve the public health of our community, greatly enhancing the quality of life. And from an economic standpoint, the Heart Institute at Water Street Tampa would be a catalyst to attract biotech companies to locate downtown and the greater Tampa Bay region. The end result? Enhanced recruitment of elite medical researchers, increased NIH funding levels and elevated heart care where you live. The Heart Institute will make Tampa the destination – for patients and professionals – who want to take part in this state-of-the-art heart care. Naming opportunities are available for laboratory spaces in the new building, endowed faculty positions, research centers, and the institute itself. 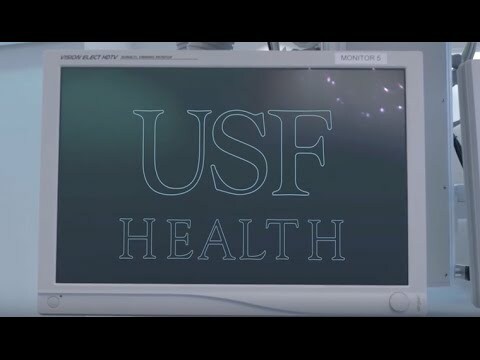 Contact Leslie Schipani-Anderson at leslies@health.usf.edu or (813) 974-4803 to learn how you can support the research discoveries of the USF Health Heart Institute.